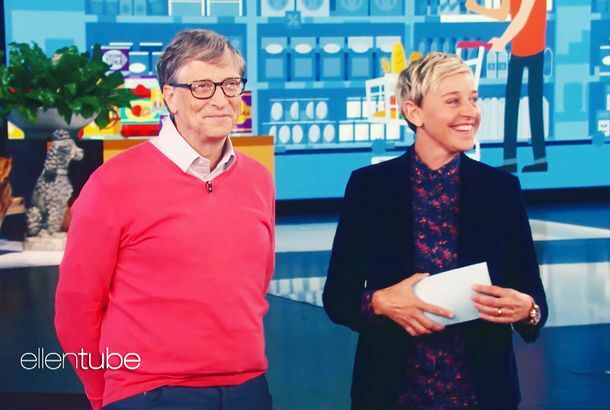 Bill Gates Has No Idea How Much Food CostsYour #mcm thinks Totino’s pizza rolls are $22. Gates: Sometimes FBI Should Access Private DataThe ticking-time-bomb scenario comes to your phone. Bill Gates Hacked His High School’s Computers to Be Placed in All-Girls ClassesHaha, what a nerd. Martha Stewart Would Kill Donald Trump, Marry Michael BloombergIn a game of FMK. Bill Gates Wants a New Condom Patent, Like, NowThere’s a $1 million grant behind it. Bill Gates Just Can’t Seem to Get Rid of All This Pesky MoneyBeing a billionaire is hard. Mark Zuckerberg Ups the Philanthropic Ante, Pledges the Bulk of His BillionsZuckerberg pledges the majority of his theoretical $6.9 billion. Real-Life Geeks and the Hollywood Stars Who Play ThemMark Zuckerberg isn’t the only techie to get the celluloid treatment. 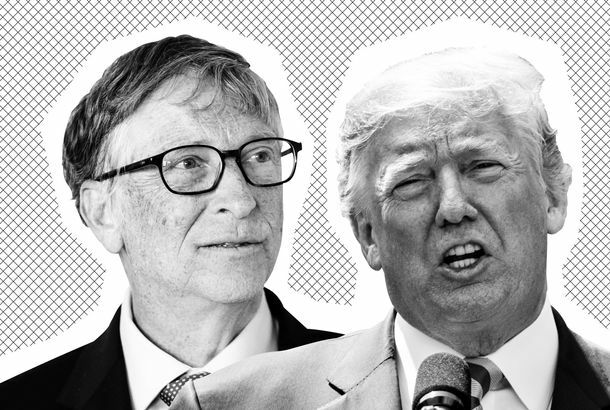 America’s Superrich Get Super-RicherBill Gates is still the wealthiest of them all. Carlos Slim Helu Is the World’s Richest ManBloomberg is the top New Yorker on the list, with a cool $18 billion fortune. Flirting With Proprietary InformationA dating story gone wrong. How Cool Would a Microsoft Store Be in New York?About as cool as we would imagine. Bloomberg, Gates Mercifully Decide Against Ruling WorldInstead, they’ll put their vast wealth toward preventing cigarette deaths in developing countries. Why Should Microsoft Try for First Place When It Can Buy Second?With this morning’s announcement that it had made a $44.6 billion offer to buy Yahoo, Microsoft continues a multi-year streak of indicating that it will settle for buying second place instead of battling its way to first. Can’t beat Google at its own game? Here’s an idea: Why not buy the company that’s literally choking on Google’s exhaust? No wonder Bill Gates decided to step back from the day-to-day in 2006. When you’ve ruled the world for a decade-plus, it’s little too much to constantly accept the silver medal. Breaking: McLovin, Too, Eats FoodPlus: Microsoft wants to be your cable company!